Dreamworks and 20th Century Fox releases a new character poster for How to Train Your Dragon 2 featuring Astrid and her loyal Dragonesse Stormfly. See the poster after the jump. Also a fun fact for everyone, Stormfly breathes a substance made of pure magnesium. That makes her flames hotter. In fact, her kind is considered as the hottest fire breathers among all the Dragons. That surely can play a good advantage for Astrid. 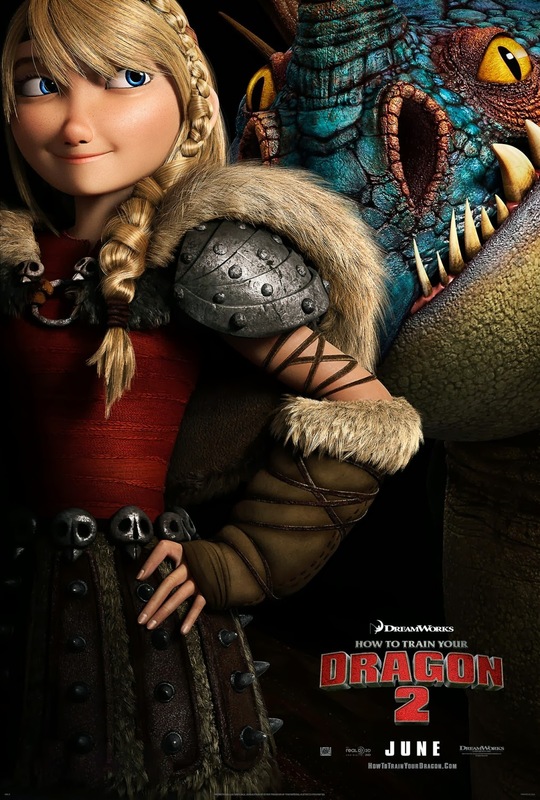 Let us find out how when How to Train Your Dragon 2 premieres locally on June 11, 2014 to be distributed by 20th Century Fox through Warner Bros.
Dragon 2 is a wonderful animated movie. I like it.